How much do we love these ingenious uses on recycling! Yuken Teryua‘s work proves that discarded everyday objects can be re-invented into something elegant and beautiful. 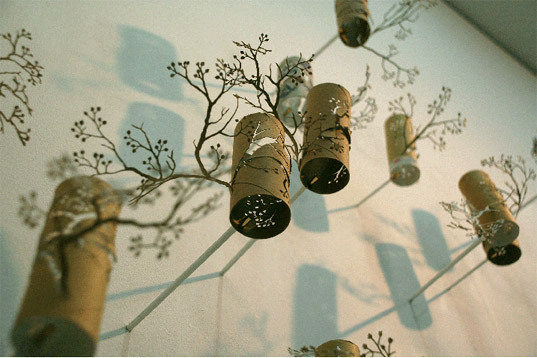 The Japanese artist crafts toilet paper rolls with a level of detail so that they adopt a new identity as delicately sculpted pieces — reminiscent of columnar wind chimes intertwined in the branches of a tree. The Japanese artist has also used shopping bags and old pizza boxes in his collection of work that uses recycled materials to defy the defined roles of these objects. A husband-and-wife team of Seaver studio art alumni finds a middle ground between their creative passions and entrepreneurial pursuits. 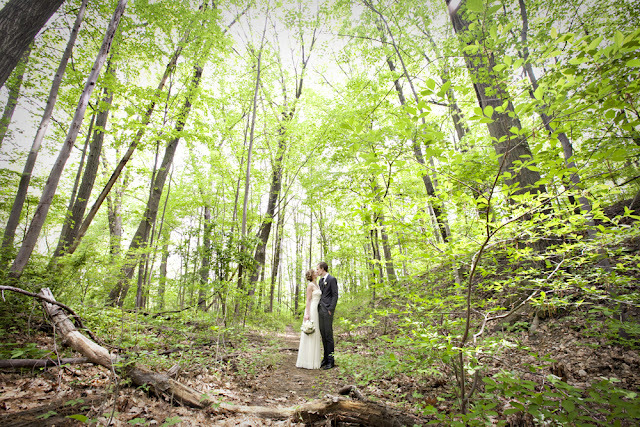 The double lives of Joshua ( ’07) and Hilary (’06) Dildine began the day of their engagement in July 2008. 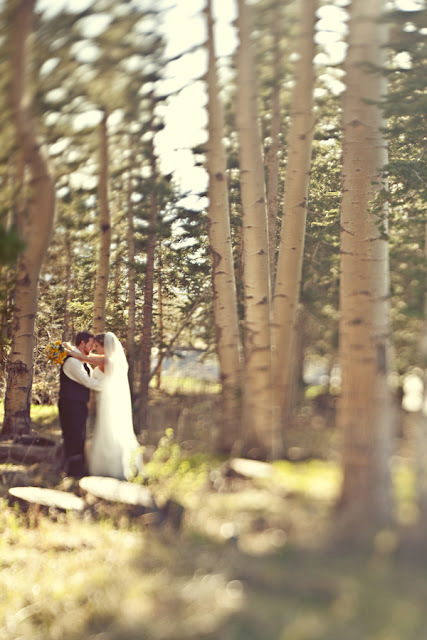 Both independently successful fine artists with extensive portfolios and exhibited works, the couple put their heads together to come up with do-it- yourself options for their impending nuptials. 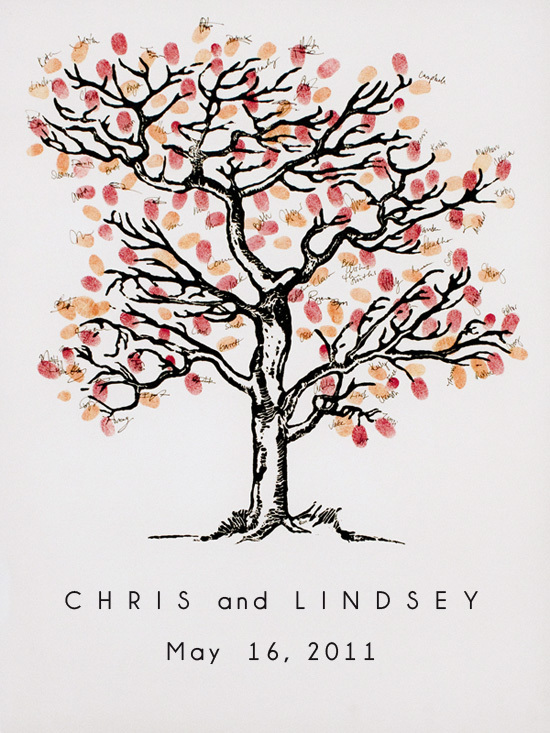 They hatched the idea of creating original keepsake artwork that only two artists would think of when planning a wedding: a handdrawn, personalized fingerprint tree that they used as a guestbook at their reception. “We wanted something that was really personal and collaborative,” says Hilary of their motivation. 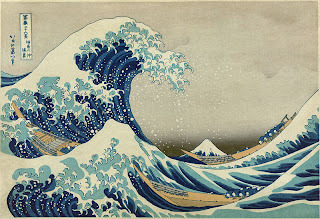 “It was a nice visual representation of the day,” she recalls; the piece of art now hangs in their dining room at home. 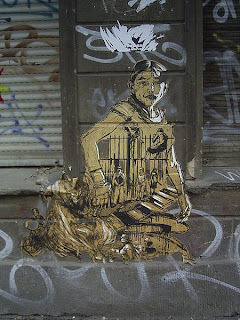 Don't leave your fingerprint art unattended! The unique guest log fingerprint drawing is a great way to capture the memory of your loved ones on your special day in a work of art. 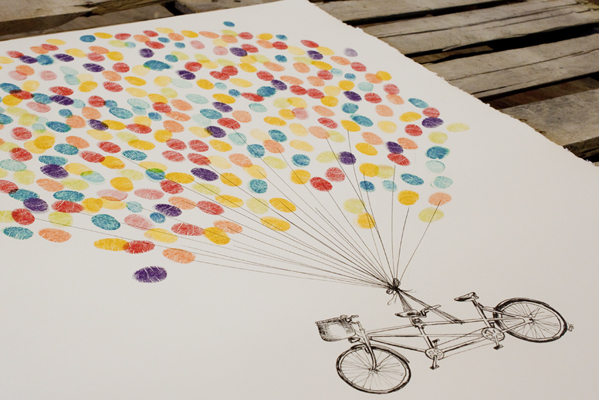 You will have it up in your home together forever and will be a cherished keepsake. 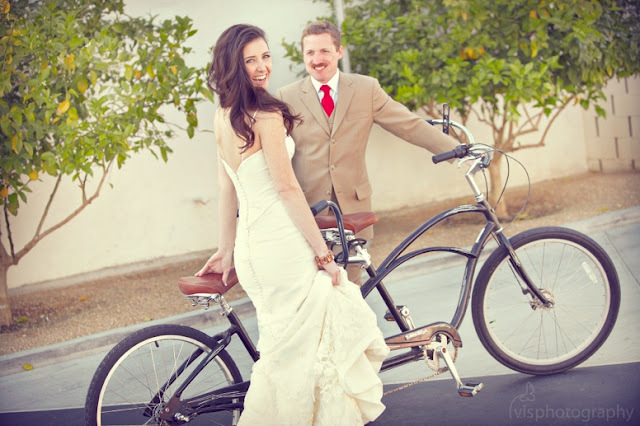 It's also a fun way for your guests to do something different and feel involved at your wedding or event. Sort of like a clean craft time. Don't worry about them getting a little ink on their finger, it can be how you know who has signed and who hasn't;) The ink dries super fast and is not going to get on anyone's clothes, especially if you provide wipes for them. It may leave a little tinge to their finger though (depending on the color). Some guests, or crashers, feel particularly inspired to be creative in front of this work of art. You want to make sure they don't go too far and know what to do. This is a simple fix. Enlist a friendly relative, cousin or friend not in the wedding party, to stick by the guest book table (or have a few take shifts so that everyone can enjoy the party). 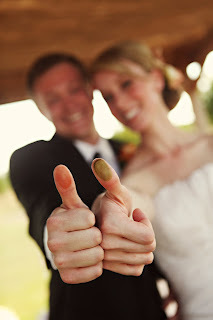 They can encourage people to participate so that you can get as many guests as possible to make their mark. They also clue people in and explain the concept of the fingerprint tree or balloon, even direct where the best place to put their fingerprint would be to make it nice and even. This is especially important for the balloons! Since its not a traditional guest book, you want someone to direct them with the stamping and wiping and signing. 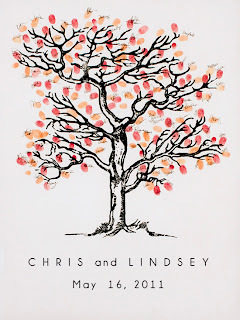 You would not believe the stories of guests stamping right next to your birds, over your initials on the tree trunk and crossing things out, putting their baby's entire footprint on the tree (!! ), or testing their fingerprint on the edges of the paper! If someone is watching over this future heirloom of yours, you should be able to prevent disasters like these from happening. check out our lovely tall birch/aspen trees! 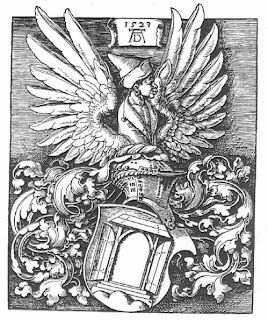 A woodcut or woodblock print is an artistic technique in printmaking called relief printing, in which an image is carved into the surface of a block of wood with the printing parts remaining level with the surface while the non-printing parts are removed. The areas to show 'white' are cut away leaving the image to show in 'black' at the original surface level. 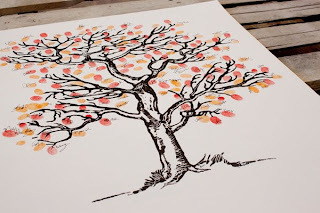 At Bleu de Toi, we were seeking a style of wedding guest book trees that would compliment our current line of hand drawn trees with a twist while expanding our audience. 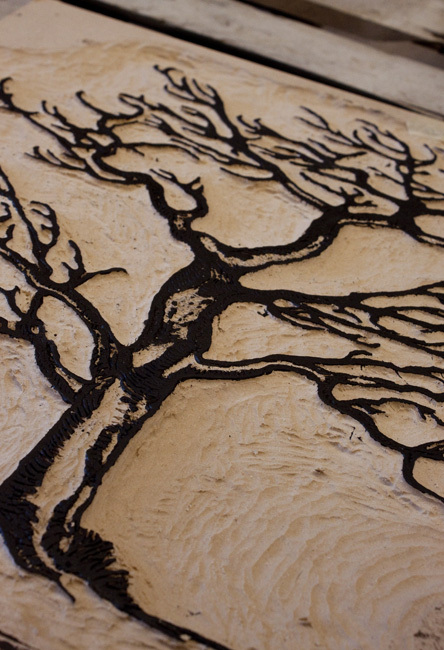 These designs we now offer are lovingly hand-carved and printed by a local woodblock artisan friend. We love the hand printed quality and the slight variation that is a natural part of the woodblock printing process in the True Woodcuts prints. 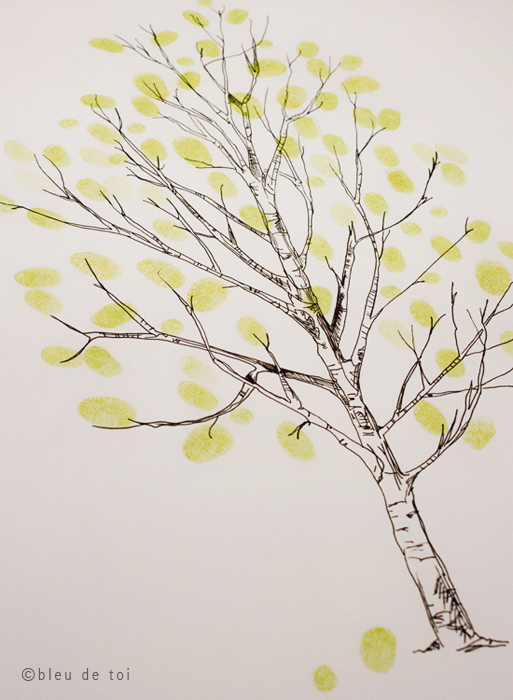 No two trees are exactly alike, the subtle texture of the Canson paper can leave a stippling effect in the print that recalls the bark or texture of the tree in strong lighting conditions. They are very unique and quite beautiful. 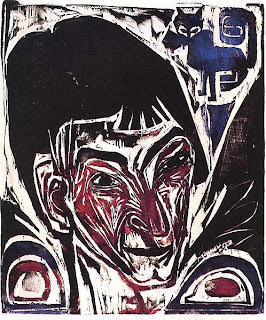 What kind of woodcut do you offer? 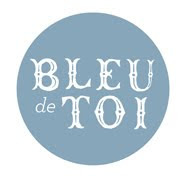 Bleu de Toi currently offers two different woodcuts: a Coastal Cyprus and a Japanese Maple. 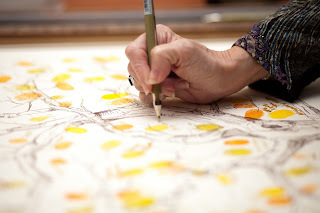 The Coastal Cyprus is best suited for 90-175 fingerprint "leafs" on 19" x 25" white, cream or grey colored paper while the Japanese Maple is a smaller tree best suited for 35-85 fingerprint "leafs" on off-white 16" x 20" paper. 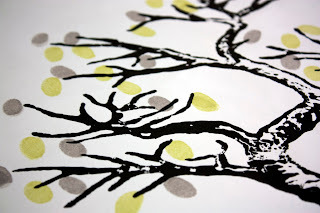 Each tree can be purchased with either one or two stamping inks available in a variety of colors. 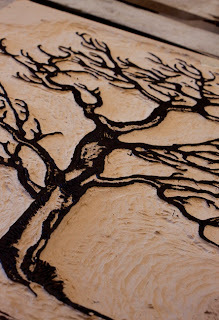 You let us know what you want it to say below the tree and we will add this custom element to your tree print for free. 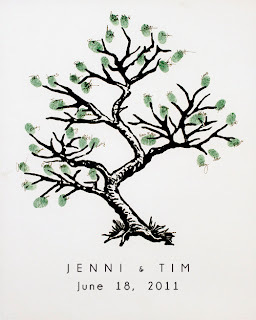 Get your True Woodcut work of art today and enjoy this unique way to capture the memory of your special day forever!